Knowledge Quest 2014 - Which Timeline is Best for Me? "Which Timeline is Best for Me?" The question I receive most frequently, I believe, is which timeline will best suit my students' needs. Choosing a timeline is an important and subjective decision and a tough one at that, with so many great options to choose from. However, I do believe that every home educating family needs a timeline, particularly if you have students in 4th grade or higher. Without a doubt, the best visual representation of time is shown on a wall timeline. progression of time. Knowledge Quest carries wall timelines that measure 10 feet long by one foot in height. They are broken down by time period - Ancient, Medieval, New World and Modern - which means there are four in all. Although the best visual representation of time, wall timelines are not always the most practical, especially for homes with lots of windows without large blank wall spaces. For this reason, Knowledge Quest also provides timelines in other formats - book, software and mobile app! Easy Timeline Creator (software for PCs) is another nice option for putting together a timeline with your children. The information that they study can be entered into the program and the software organizes it and places it in the correct location on the timeline. 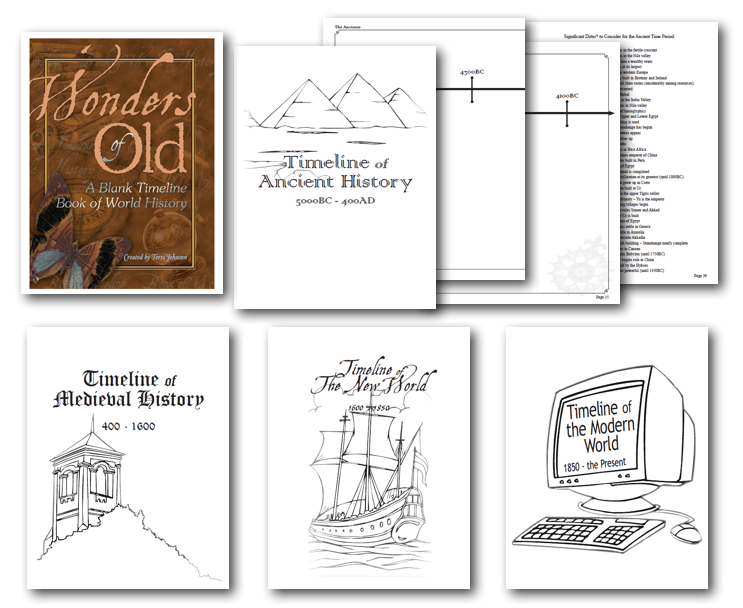 This computer generated timeline can be printed once completed and assembled into a notebook or tacked onto the wall. My favorite timeline is a mobile app called Timeline Builder. It works essentially the same way as the Easy Timeline Creator above, but its so portable and easy to use that I have found that it is now my go-to timeline creation tool. If you have an iPad, I would strongly suggest you consider this as your primary or secondary timeline tool. Priced at $5, it's hard to beat. As always, if you have any questions, particularly about which timeline format is best for you, please don't hesitate to write to helpdesk@kqpublishing.net.